The Toronto Marlies scored their first goal against the Grand Rapids Griffins at 21 seconds but would not score another goal until the Griffins ended the Marlie’s season after about thirty seconds into double overtime. The Marlies lead in shots during regular play but lost the lead in the end of the third when the Griffins tied it up. Aubin played well, but you got a feeling that the longer the game went the less likely the Marlies were to win it. All in all, a good inaugural season for the team and I’m glad Lindz took me to the game! The locals in Caledonia protesting about the Six Nations protesters remind me of the townspeople of Springfield. TV is so much better without comercials and viewed on your schedule. Thank you MythTV. Not only is “My Name is Earl” one of the best shows to come along in a while but all season its had a great soundtrack that collimated in spoofing the Beastie Boys Sabotage video in Stole a Badge on April 27th. Pat Quinn and the Leafs are both better off after parting ways. Less than a thousand days left of George Bush. 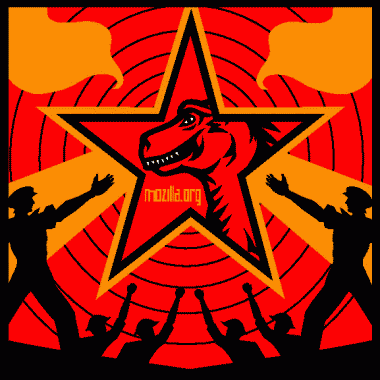 Just a little after Easter here’s an Easter Egg in Mozilla Firefox: goto the URL “about:mozilla“and learn about “The Book of Mozilla”. The MP3 recorder with president Logan authorizing the assignation former president David Palmer is crucial evidence that needs to get out. Jack Bauer‘s PDA has proven that it can do everything else, it could probably produce and host the podcast! Soon the Palmarcast will be ready to download and listen to while you jog… to The White House and over-through the government. 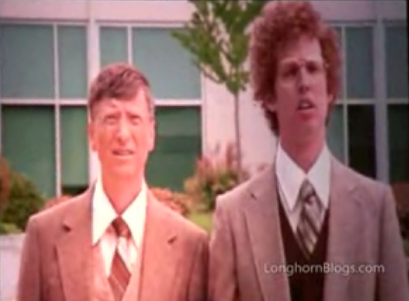 YouTube has a video that Bill Gates did with Jon Heder (Napoleon Dynamite) for Microsoft Employes. Microsoft has a history of doing these videos and they’re always funny and prove that Gates doesn’t take being the wealthiest person in the world too seriously. You are currently browsing the iMatt :: The Blog of Matt Clare weblog archives for April, 2006 .